Arthur Price are world-renowned for their cutlery, but they sell far, far more than that. This year they have released a special gift collection designed by Laurence Llewelyn-Bowen for Remembrance Day. I'm not a fan of war or fighting, but I can appreciate that at times in the past there has been no alternative. I wouldn't want to enlist, and I really hope none of my children ever do either, so I'm eternally grateful to those who have stood up and been counted on my behalf and in the place of my friends and relatives. 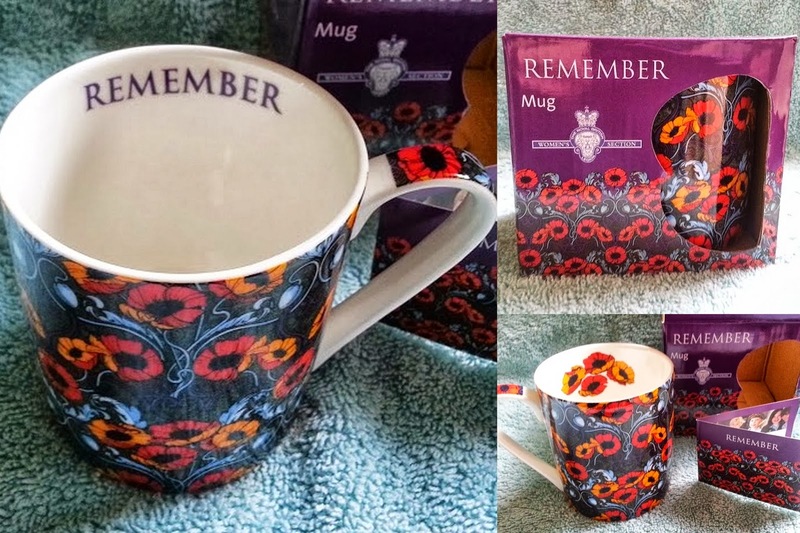 The Remember range of poppy-inspired gifts includes a tote bag, journal, umbrella, iPad case and mug, and 10% from all proceeds will go to the Royal British Legion Women's Section to support their work providing care and support to members of the armed forces community. I've been given a mug and an umbrella from the Remember range to review and they're both very attractive and beautifully made, and make a excellent gifts. The mug is standard sized and comes beautifully boxed with an accompanying notelet about the RBLWS. It retails at £6.95. 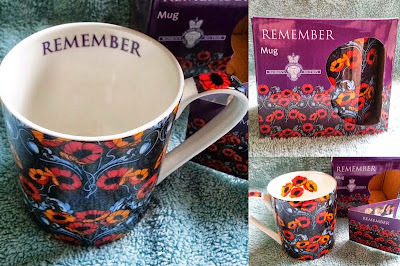 It has a lovely detail inside the mug where one side shows a large poppy taken from the overall design, and the other side has the word 'Remember'. It's decorated all around and even along the handle. 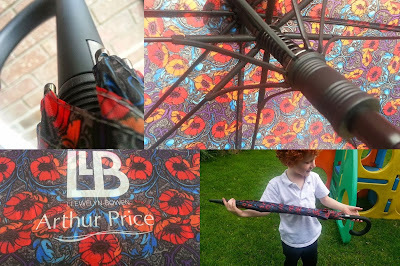 The umbrella is excellent quality. It has a great soft-touch handle that feels lovely to hold, it's light and plenty big enough for two people. 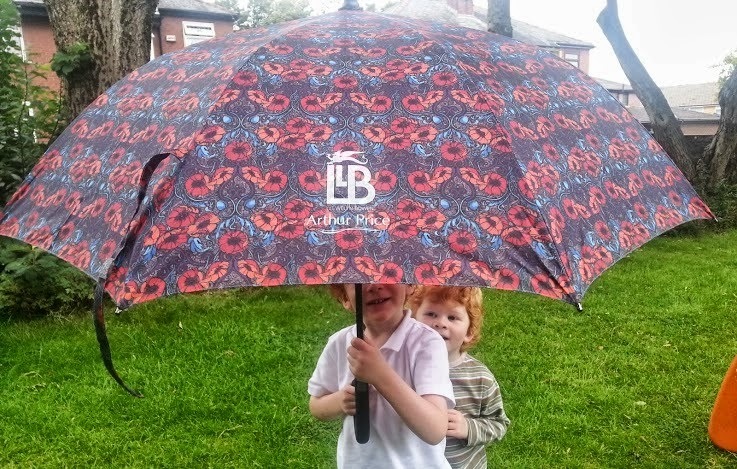 It's automatic - a simple push button and your umbrella is open, no faffing around in the rain, and the opening mechanism is really nicely designed. The umbrella retails at £17.95. The entire Remember range is available to buy online direct from Arthur Price, or from a huge range of stockists including John Lewis and House Of Fraser. You can find your nearest stockist here. They are lovely - I often find charity things have a bit of a naff design and you buy them but don't actually use them so it's nice to see something that is supporting charity but also a nice enough design to actually use! It is great that they support the Royal British Legion Women's Section. 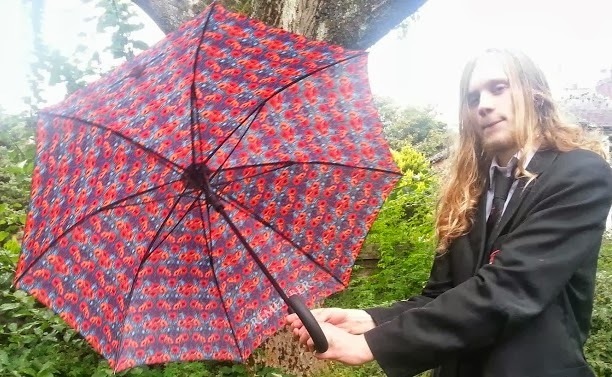 I think that umbrella is really lovely! Did not know that Arthur did other things aside from Cutlery! Loving the mug!